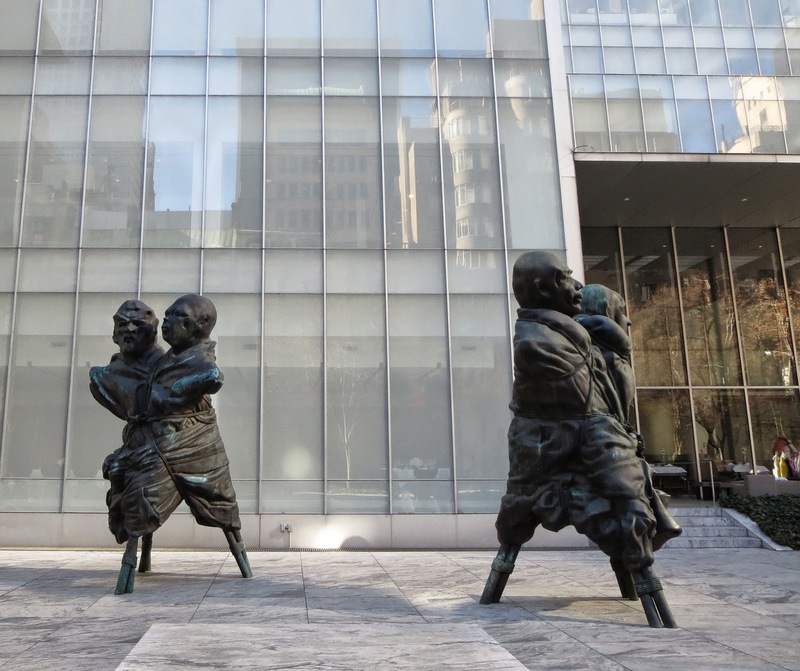 It is difficult to find a peaceful and quiet place in the middle of Manhattan. 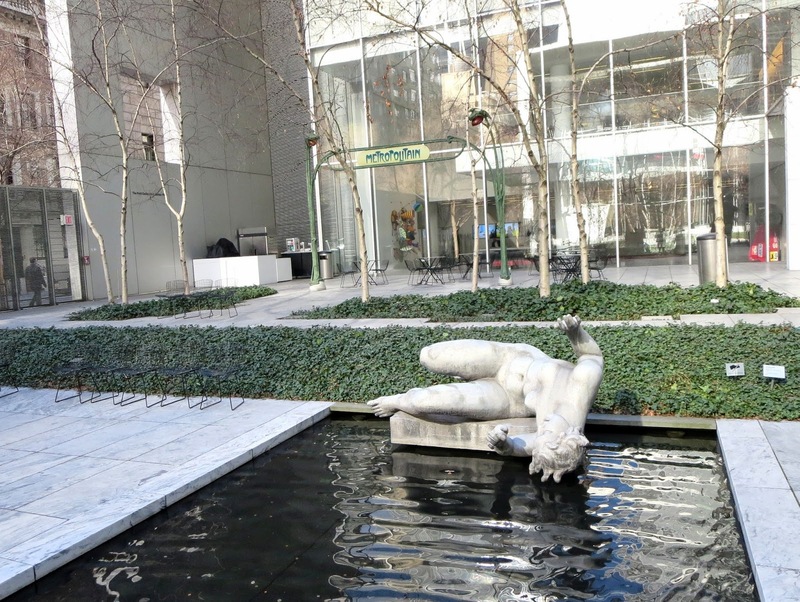 The Sculpture Garden in the Museum of Modern Art is one of such places. 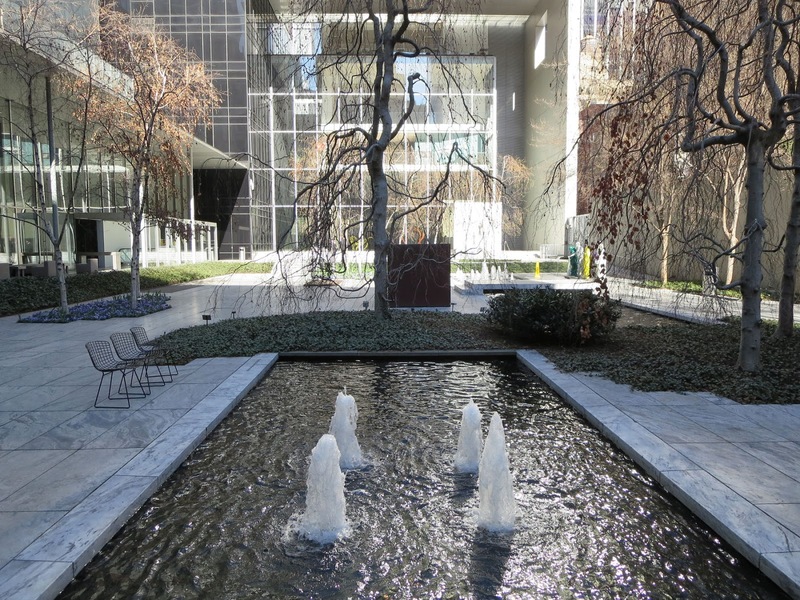 The secret garden is hidden behind a tall wall in the heart of Midtown, on West 54 between 5th and 6th avenues. Beginning September 9 2013, the garden is free for visiting every morning from 9AM to 10-15AM. The entrance is from West 54th. 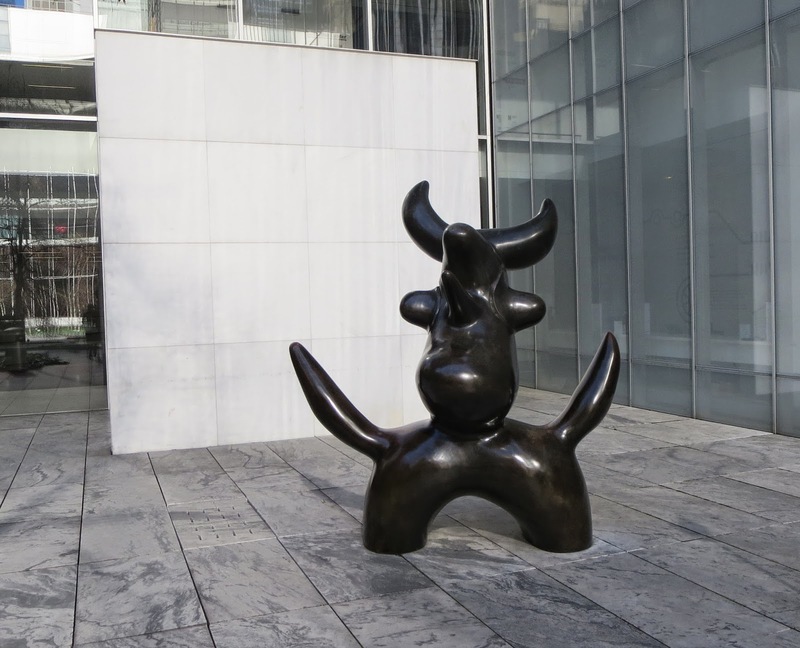 Museum of Modern Art (MoMA) was organized in 1929 and did not have a permanent home for the first ten years. Museum expanded in the 1950s and the garden was added in 1953. The architect Philip Johnson and landscape architect James Fanning designed a garden dedicated to Abby Aldrich Rockefeller, the wife of John D. Rockefeller, Jr.
Abby married John in 1901 and the couple had been living at 13 West 54th Street from 1901 until 1913. In 1913 they moved to a nine-story mansion at 10 West 54th Street, the largest in New York city at the time. Twenty-five years after the mansion was constructed it was demolished to make way for the sculpture garden . Rockefellers moved in 1938 to 40-room triplex apartment at 740 Park Avenue. 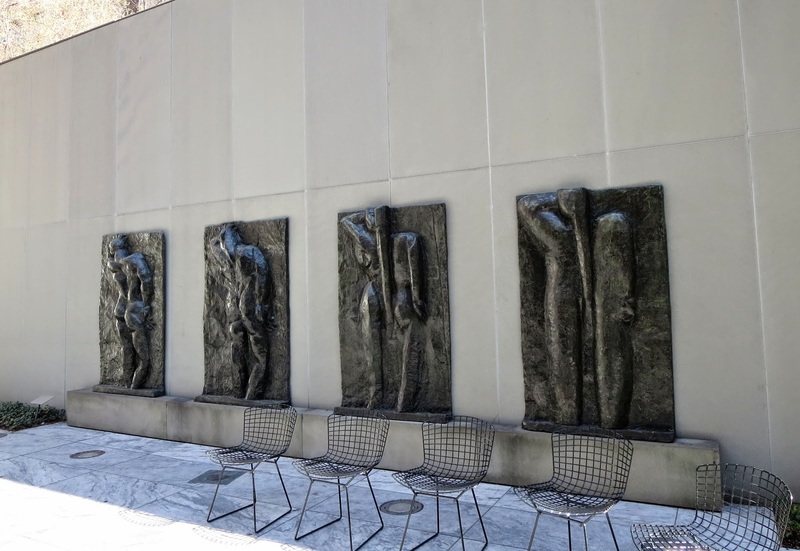 In the garden you can take a sit in a moveable chair among works by Rodin, Picasso, Calder, and other masters. Sunken court is divided into four unequal areas with a central island and two long pools. I was in the garden on a chilly but bright April morning and there was nobody except me. The Garden Bar where you can buy gelato or iced coffee was closed. I think that in summer on a weekend the garden could be really crowded. 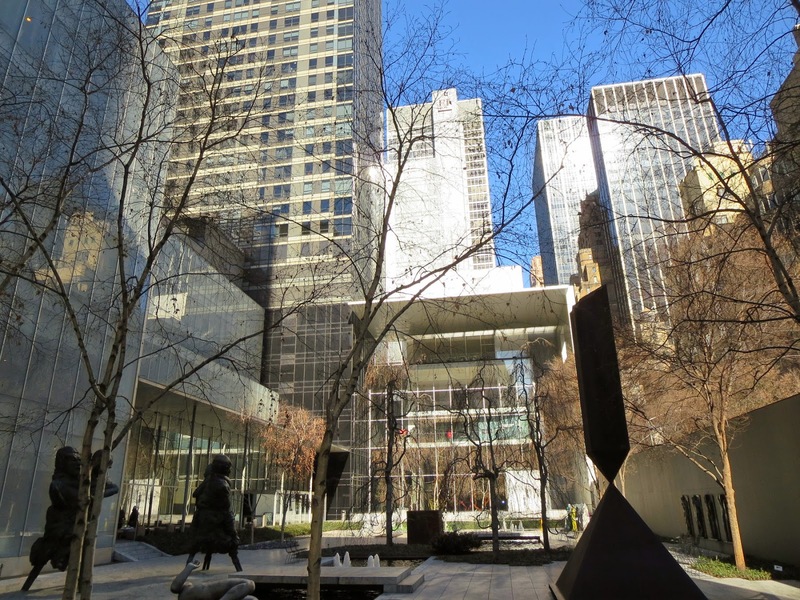 Since 1971, Summergarden on Sunday has been bringing contemporary classical and jazz music to MoMA. 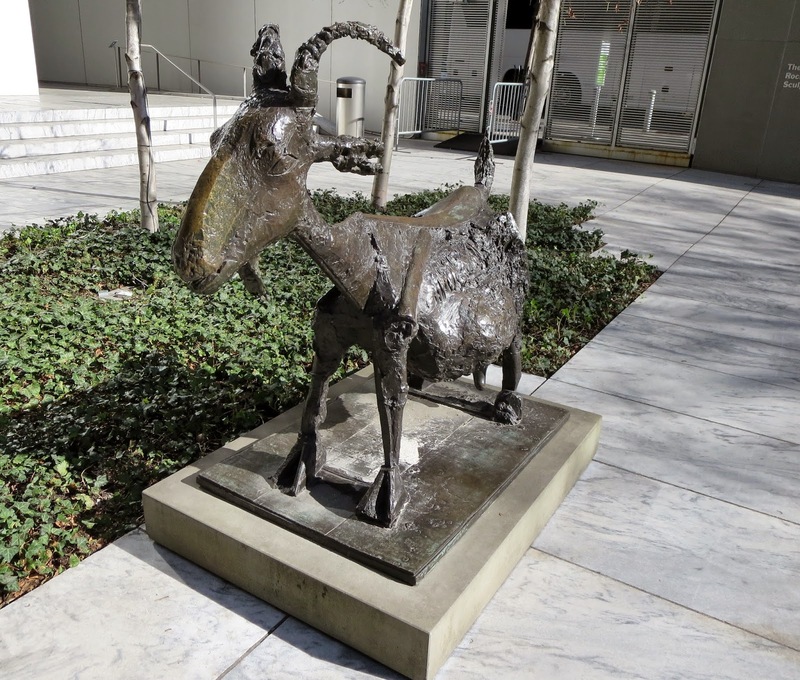 Admission is free but the seating is limited if the Sculpture Garden is full. The garden will open at 7 p.m. on Sunday and concerts will begin at 8 p.m. and last 60-90 minutes.